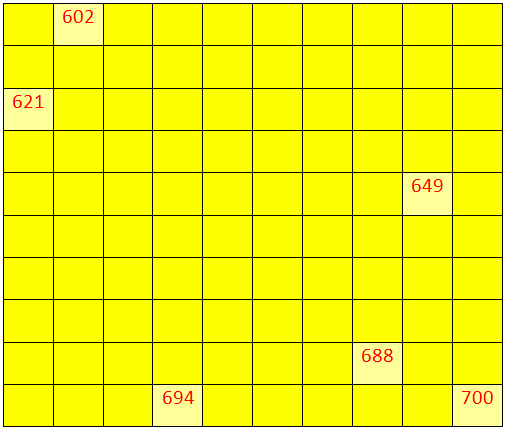 Worksheet on numbers from 800 to 899 will help us to practice the numbers from 600 to 699 in orders. (i) 615, 620, 625, …………, …………, ………… . (ii) 679, 680, 681, …………, …………, ………… . (iii) 623, 625, 627, …………, …………, ………… . (iv) 647, 650, 653, …………, …………, ………… . 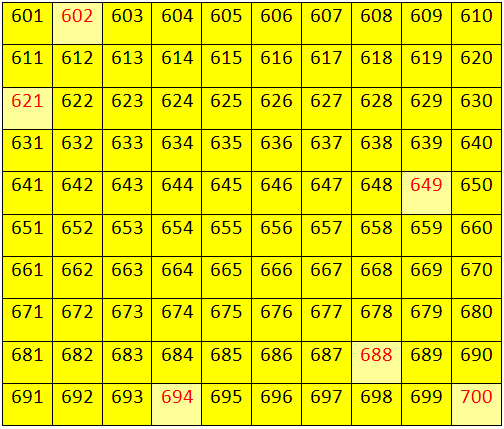 Answers for the worksheet on numbers from 600 to 699 are given below to check the exact answers. 4. (i) 630, 635, 640.